The dots on this map show more than 15,000 worldwide postal zones with recent Clog Hog customers. You can double-click the map to see more dots appear and find customer locations near you. Here's how to find Clog Hog ratings, reviews and customer stories. You can visit Shopper Approved to see our store reviews. You can view our BBB page to find our service rating history. You can click a product page Reviews Tab for in-depth ratings. You can scroll down to read the customer stories on this page. 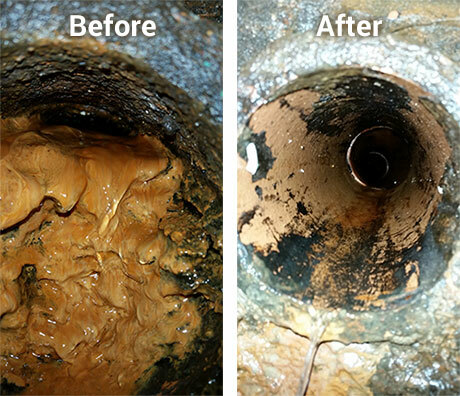 Note: the above images show how a Clog Hog drain cleaner helped to remove a thick iron ochre clog, caused by iron eating bacteria. Professional handyman and popular DIY author Steve Maxwell published this YouTube Video to show how he also restores clogged septic field lines with the Clog Hog drain cleaner. 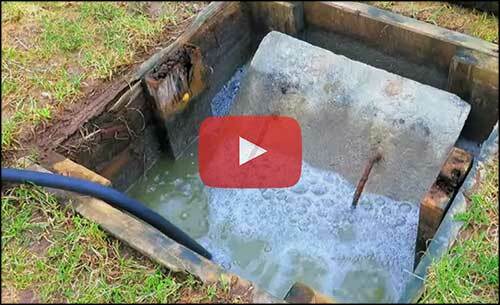 In this video Steve digs down to expose each septic field line to be cleaned, but it's sometimes possible to access many lines by feeding the sewer jetter into an exposed distribution box. Steve reports that "It's been working perfectly since June 2014 in a household with 7 to 9 people living in it, so the fix is probably long term." I needed the Clog Hog to pull coins and other debris from my 4" washer drain at my coin laundry. Attached is a picture of what the Clog Hog pulled out of a 20 foot section of pipe where 13 washers drain. I have been contracting with a rooter service to come in once a year and snake the drains. Apparently, all they were doing was punching a hole through the top of the coins but the coins were too heavy to wash down once the hole was made. In essence, the rooter was wasting my time and money for years. I needed a way to pull the coins out and a drain cutter wasn't cutting it (pun intended). The Clog Hog worked great, however, I still have 2 small piles of coins that will need to be broken up with my consumer grade snake once I get a 3" cutter. I can see down the pipe and there are 2 arches where the hog has cut a hole above and below the coins. Once the arches are broken, I’m sure the Clog Hog will pull the remaining coins out. And you wouldn't believe the filth that came out with the coins. I'm just glad I’m not dealing with sewage. 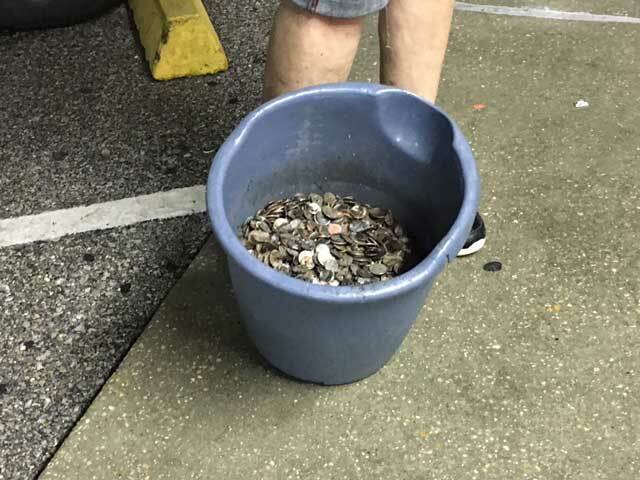 By the way, there are over 30 pounds of coins in that bucket, close to $300, along with nails, screws, paper clips, jewelry, nuts, bolts, wing nuts, toys, tongue depressors, etc. Be sure to check your pockets before you wash your pants! I just want you to know I'm pleased with your product and service. Editor's note: to flush small, solid objects like coins from a drain you'll need a larger gas-powered pressure washer, access to the drain from a downhill opening (so that the back-firing nozzle jets can flush the objects downhill, toward you), and a reasonably short distance to clean and flush. Fortunately Mark has all three. Let me start by saying your product is ******* awesome. Sorry for the foul language but it worked great. I'm a Building Engineer in New York and we got all kinds of snakes and drain cleaners at work, and I bought your product to clear my house drain that kept backing up and pulled out nasty old soap scum and grease buildup that could choke a horse. Unreal easy to use and works great. I first used hot hot tap water and a gallon of bleach to flush the line, then I got to work and it did the job. I'm very satisfied, and please keep it made in the USA where great products are made!!!! “I just wanted to email you guys and thank you for an amazing product you carry. I must admit I was skeptical at first. I used your 100 foot Clog Hog to clear a failed septic drain field. It is 6 runs of 50 foot septic PVC tile, or 300 linear feet of drain pipe. One wet spot in the middle of the drain field indicated a problem that needed to be addressed, so today I had a guy with a backhoe bobcat and bucket help dig up the end of the drain field and header pipe so I could insert the Clog Hog in the end of each pipe and also clean the suspected clogged header pipe to two of the runs. We found that all the ends of each run were completely plugged with sand, and beyond that, biomat, small grass roots and hard pan. We hooked the Clog Hog up to a 2500 psi gas pressure washer and went to work. It unplugged all the sand, blowing it back into pits we had dug at the end of each of the 6 PVC tile runs. 4 of the 6 runs worked somewhat as to their biomat in the pipes, but were plugged with pieces of hardened material as big as the 3" pipe and some as long as 12" The Clog Hog managed to force out these large pieces by working the jetter in and out manually, at different speeds. We let the Clog Hog propel on its own up the pipes till we felt resistance and then pulled back and saw to our amazement large chunks of solidified material come pouring out. This product really works, and forces the material in the right direction....back to you! We also had a plug on the two non-functioning tile runs up by the septic header, so we took part of the header pipe apart at the T junction to the septic outflow line and forced the Clog Hog in the other direction down the header. It managed to free up the two septic lines that were completely full of sand with no biomat, indicating they haven't operated in many years. Now they are flowing freely with clean water when we tested the system with a garden hose. We did a final run up each pipe to ensure they were completely clear of any material. Now the entire septic field (all 6 runs) are operating properly once again, the tile bed was 19 years old, but is now operating just like new again. If I ever have trouble again I now know where the end of the 6 runs are located and can dig up this and use the Clog Hog once again to clean the tile bed lines if required. Thanks for offering a great product, and in turn saving me thousands of dollars replacing a plugged drain field. Now with proper maintenance, my system should work indefinitely. I don't know of anything that would have worked in this situation the way the Clog Hog works! I can't say enough about it. Feel free to publish this review as to help others that have similar issues with their drain fields. 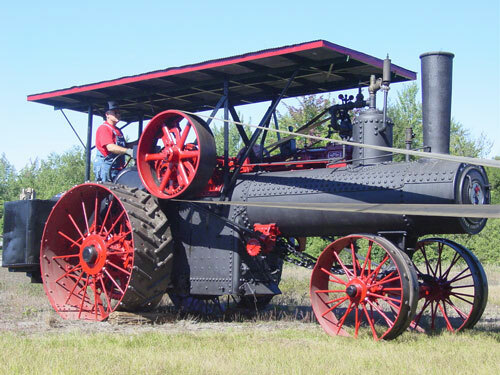 “We used the Clog Hog on our old traction steam engine. It did a fantastic job of cleaning the flues, a job that a brass brush just never could do well. The flues looked the cleanest I have seen them in decades! We also used it to clean the old scale and sludge from the inside bottom of the firewall water jacket where it accumulates over time. We were able to remove literally handfuls of the stuff. We have tried many techniques to get that area of the old engine clean but nothing would really clean it out. “I received my 100 foot jetter in record time, 2 days. I had 170 feet of frozen, 6-in pipe. I hooked it up and started cleaning the pipe, it couldn't have worked any better. In 4 hours I had running water through the pipe. The best tool I have bought in years. THANK YOU VERY MUCH. “I purchased your 100 ft. unit recently when my main sewer line backed up. I had a professional come out that was supposed to have a jet machine but when he arrived he said it was being repaired and it would be weeks before he could use it. He wanted to dig up my septic tank and field lines but I told him that the tank had been pumped three years ago and there had never been a problem with the field lines so he might as well leave. I then decided to order a Clog Hog. Three days later I received it and hooked it up to my pressure washer. I ran the main line twice and a branch line once and my problem was solved. I don't think the drain has worked this good in years. My kitchen drain was slow for about three years. It was my wife's family home, and she said it had "always" been slow. I had every plumber in town come in to try to fix it. They would run a snake, and the problem would resolve for a couple of weeks. There were nights when I had to siphon out the kitchen sink. I was seriously considering spending $10,000 to tunnel a new drain. Out of desperation, I started calling out-of-town pros to get an opinion. One guy (who was retired) said that I need to at least try someone with a "sewer jetter". I couldn't find anyone within 80 miles. It was going to cost me about $125 an hour to get the one guy I could find to come in, including travel time, including this and that and kennel fees for his dog or whatever else he wanted to bill me for because I was desperate. I thought if it was going to be that much, maybe I could just buy a machine. Researching the $2K - $5K jetter machines, I ran across the Clog Hog site. The price was so low, I thought it must be a gimmick. Then I read the testimonials, and it was a bunch of people who were having the same problems as I was. This was a whole bunch of stories of people with exactly the same thing happening. Also, one of the testimonials had a picture of something that looked very much like some stuff that one of these plumbers pulled out of the drain. Just a whole lot more of it. I discussed it with the wife, and decided that we needed a pressure washer anyway; why not give it a shot? We read the instructions carefully and ordered the right hose for the pressure washer we bought. It was easy to hook up, and we were in business in about fifteen minutes. I have a five gallon bucket with a notch cut out of it that would fit under the main drain to catch any nasties that would come out when the line was snaked. I put it under the drain pipe and pushed the Clog Hog into the pipe. I fired up the pressure washer and pulled the trigger ... and nothing spectacular happened at first. Except that slowly, steadily, the Clog Hog hose was being pulled into the pipe. About 45 seconds later, black, nasty stuff like thin mud came out and fell into the bucket. Then big chunks of hard grease. Then the hose's progress stopped dead and for a moment. More chunks of chalky looking impacted grease. The hose broke through and nothing else came out of the pipe. I jigged the hose up and down the line a few times, but nothing came out of the pipe unless I was very close to the end of the pipe. I turned off the machine, pulled out the Clog Hog, and hooked the traps back up. I turned the water on, and for the first time in three years, the water ran completely free. I filled up one side of the double sink and pulled the plug. It drained so well, I could watch the water level drop. Fast. It drained so well, the water didn't even bother trying to level up with the other basin. It just drained like I had forgotten to put the trap back on. When it ran out of water, it made a long, satisfying "SSSCLLOOOOOOOOORRRPP!" I couldn't believe it. Heck, I still can't believe it a year later. It still drains like a beast. Then the back sewer got clogged again last week. It has also had its problems in the past, with slow and half-fast flushing. When it seized up completely, I pulled the toilet and ran the Clog Hog in the line. It was even easier than the kitchen line, and that toilet flushes better now than it ever has. And I mean that fast- swirling, bowl-completely-emptying flush. This is, without, exception, the best tool I have ever bought for the money. I has fixed, in a grand total of an hour's work and 120 bucks, problems I have spent three years and over a couple thousand dollars trying to fix. “For many years now (since 2006), I've had a problem with the main drain line that runs under our home becoming clogged. 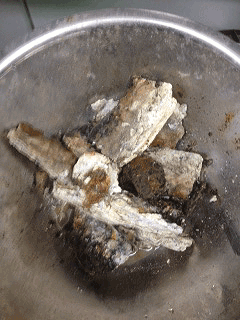 A video showed the cause to be a segment of pipe which has settled slightly below the surrounding pieces. To fix the problem would involve jackhammering a hole in the foundation in the middle of our living room. With kids in college, the money for that project never seemed to be available, so I resorted to periodic jettings from a local plumber. I was fortunate to find a fair and affordable plumber, but being a small operation they were sometimes unable to get to my job for several days. And I'm sure it's my imagination, but it always seemed to back up on a Friday! This temporary solution has ended up costing me over $3000 these past 6 years. I finally decided, when my plumber had some personnel turnover and started increasing their rates, that I needed to see if I could tackle this on my own. I found the Clog Hog online and started researching pressure washers; I didn't want a cheap washer that wouldn't be up to the task. I was fortunate to find a clearance on a discontinued model at a local builder supply warehouse and so placed my Clog Hog order. I've had them both sitting in my garage for a year now, just waiting for the next "incident". This week was the week. I did benefit from 6 years of watching a professional work on my pipes, so I was able to get the nozzle past the tricky initial bend. I also used their trick of putting a piece of duck tape on the hose at the point where the nozzle hit the clog for future reference. After about 15 minutes of back-and-forth, I was rewarded with the familiar sound of rapidly rushing water as the clog let go. A few more minutes to make sure the pipe was clean and I was ready to clean things off and prepare for storage. Ignoring the one-time cost of setting up the pressure washer for the first time, I was able to do the job in about the same amount of time as the professional. And I was able to do it by myself (the plumber sometimes brought a "helper", with the associated increase in cost). Plus, I'm comfortable with knowing that if the problem recurs, I can fix it immediately without waiting for a schedule slot with my plumber. I estimate that this first use has paid for about 60% of the cost of the pressure washer and Clog Hog. One more and I'm in the black. And that ignores that I now have a very nice pressure washer to use for other purposes. “I just wanted to let you guys know that I used the Clog Hog the first time today. It wasn't what I intended to use it for but it is amazing. I just had my gutters cleaned and repaired. They wanted to clean the underground pipes but they wanted another $175 to open the drains up. I didn't even remember where they came out on the property. So this morning I fired up the pressure washer and was waiting to see the jet come up from the grass but to my amazement a jet of water was shooting out of some brush downstream. Long story short once the drains were cleared I put some water pop ups and gravel for drainage around them and they are clear and perfect. I would have never been able to clear those two drains so quickly using other methods. I just wanted to let you all know that I am very impressed with your product. It's not often that products work better than the claims. The Clog Hog exceeds my expectations. I'm probably going to do a maintenance jet on my sewer before winter so I don't have to call the sewer people and have them charge me $350. That was originally what I bought it for and now I see how well and easy it works I can't wait to try it out on that as well. “I have drainage tile running completely through my back yard and emptying into the city sewer system. Every couple of years silt and debris builds up and clogs it, causing my yard to have standing water and soaked areas. I had had to call a rooter service in the past and, for $240, they would come and jet it out. I found the Clog Hog by searching Google, and for about half the price decided to take the gamble. It arrived in a timely manner and I had it connected to my pressure washer in no time. Amazing. It fed itself through the tiling most of the way and when it stopped I pulled it back and let it go a few times and it eventually threaded its way completely through. I ran it through 2 more times just to clean it completely (and I was gathering a small group of curious neighbors). Rinsed it off and hung it up. I received my 100ft Clog Hog Drain Cleaner in the mail today in Canada, earlier than expected and went to use it immediately. We have been troubled with drain back ups for some time. Although drain augers have provided relief in the past, they have been very expensive and inconvenient. We immediately unpacked the Clog Hog and started using it. Connecting to our pressure washer was essentially instant. We were shocked by how easily the Hog went into the pipe and propelled itself 100 feet. We did three passes to the street sewer connection. It took all of 20 minutes. Amazingly easy to use. Stunningly effective. I wish we had run into it earlier. It would have saved us thousands over the years. “I just wanted to let you know how satisfied I am with your product. I purchased the unit to unclog a drain leading from my driveway. Heavy rains were backing up the drain and the water was actually coming into parts of my home. Two years ago I hired a well-known company to do the same job for me, and paid over the three times the cost of my new Clog Hog product. I got much better results from doing the job myself, as well. Interestingly enough, the company I had used two years before called me the day after I unclogged my drain with your product, to offer me their services again. I informed them that I now owned a Clog Hog product and would not need them for that service again. After hiring a licensed plumber and a visit from R***-R*****, neither were able to resolve our slow kitchen drain. I am happy to say, buying your product was one of our best investments. Within in minutes I was able to clear our drain, and took the opportunity to continue running the unit to further clean the drain. 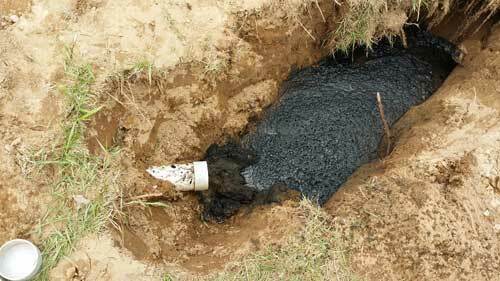 “My septic leach lines have been completely blocked for about 3 weeks now. I tried bubbling air in the septic tank and adding aerobic bacteria but that did not work. I purchased a backhoe and started digging brand new leach lines which is half finished and my yard looks like a complete mess. I thought I would try the Clog Hog as a last ditch attempt to fix the existing system. I received my Clog Hog last night at about 7:45pm and ran it down my line exiting the septic tank and witnessed the blackest of black sludge pouring back out of the line. Within 10 minutes I could see water flowing back into the line which is a site I had not seen in over 3 weeks. I just can't thank you enough for making such as awesome product. Looks like I can refill the Grand Canyon I created in my yard as your product has repaired my existing system! Just wanted to compliment you on a great product! Last weekend, I found out that the sewer pipe to the septic tank at my Wisconsin cabin was frozen. I called a plumber and got a quote of $180/hr from the time he left his house until he got home. With at least an hour of just travel, I decided to try clearing it myself. I didn't have any ideas, but figured there must be a way. My wife happened to see your ad in the Handyman magazine. I did some online research and for the price of 1 plumber hour, I decided to give it a try. The Clog Hog cleared multiple frozen spots in the pipe in less than an hour. I will be recommending this to anyone I hear who has a problem with clogged or frozen sewer pipes. As for the money I saved by not hiring a plumber, my wife will get something fun. “After wasting $700 on two different old-school, steel snake, Craig's List wannabe plumbers, I got a Clog Hog. I'm an old man, so I hired two guys - from Craig's List. I got them full blown plastic coveralls, rubber gloves, and two respirators. Next day, we arrived at my rental property, where the tenant had been without utilities for 10 days. We unfurled the Clog Hog, rolled it out, and attached it to our Homelite 2700 pressure washer. One of my guys stuck the nozzle about 2 ft. into the long clogged drain the basement floor. The other hovered inches away with a powerful shop vac. A moment of suspense, then I hit the trigger. The guy holding the Clog Hog cable looked shocked as it drew itself effortlessly into the drain. He didn't know quite what to do, so he let it do its thing. It went in about 10ft. before stopping. We pulled it back until we could hear it and see a bit of mist. But no water came up and out of the drain. Then we let it go back until it stopped and began pulling it back 2-3ft. let it go, pull it back let it go, then it just went. And so did everything in the drain. IN LESS THAN ONE MINUTE. We took the Clog Hog outside did all the clean outs. Then, out of sheer paranoia - this was too good to be true, we went back to the basement and reamed the drain for about 10 minutes, just to be sure. Then we took the hose off the washer and put it down the drain, to see if we could get it to back-up. 20 minutes later, no water. The guy with the shop vac had a totally uneventful day. Not a drop of water percolated up from the drain, and only a tiny bit of misty spray came out. We looked pretty silly in our HAZMAT outfits. Editor's note: not every Clog Hog drain cleaning job is this easy! “I bought your Clog Hog sewer kit 100 feet hose to be used with my Kärcher gas pump 3000psi, 2.5 GPM. This system works so well that it takes me only an hour to clean my foundation drain around my house. Last time I called the plumber to do this job and it cost me $225 for an hour and a half. Their equipment was made for industrial purpose and the pressure was so high that I was afraid they damage the drain pipe. I have to tell you that I am very impressed with your product. I have 2 waste stacks in my house that converge and Y together about 30' under the concrete basement floor, and then exit the house to my septic system with the outside cleanout at about 35'. I have one of these lines up stream of the Y connection that has had to be snaked about once a year. As a very competent DIY'er, I was about to purchase a R***** mechanical drain snake with autofeed since I know I am going to have to do it. Personally, it just burns me up to have to pay someone on average $160 for the trip and their time for very little work. I found your product while doing some research, and thought I would give it a try simply based on the potential savings versus the big bucks on the mechanical snake. I was through the clog and past the outside cleanout in 40 feet. I ran the hose out and back a couple times, and ran a bunch of water through from the upstairs fixture couldn't have been easier for me to do. The Clog Hog really is self guiding, as it pulls itself along. At first, you actually have to hold it back. There was one thing I did to customize the hose for my purpose. I needed to have some graduation marks on the line so I could see how far it had gone out. I got out some colored electrical tape, and wrapped a red line around the hose at 5' so it would indicate when I needed to cut the pressure when pulling the line back (I sure didn't want to get a face full of spray). I then put Yellow electrical tape around the hose at 10' intervals... 10' had a single stripe, 20' had 2 stripes, 30' had 3 stripes, 40' had four (that is where I quit since I was only going out 40'). This made it super easy to gauge how quickly I was feeding the tube, and how far I had gone out. Rarely if ever do I write a manufacturer about their product. I had a clogged storm drain at the entrance to my garage, which has since been converted to a downstairs den. During a heavy rain, it would flood, no big deal when it was a garage, but as a den with carpet, it's a problem. To further complicate the matter, I had no idea where the outfall of the drain was. I bought the Clog Hog based on your ad and a little research on the web. Since I already owned a pressure washer I figured why not give it a go. Dutifully the Clog Hog scurried down the drain, but stopped at about 20 feet. We looked in what we thought was the direction the outflow should have been, nothing. Then we looked about 45 degrees to the left and sure enough, there was a small geyser of water coming up from the outfall of the drain. The Clog Hog had not only cleaned out the drain, but had jetted through about one foot of packed soil where the previous owners had covered over the pipe with landscaping. Then it was just a matter of digging to the end of the existing pipe and attaching an extension for a clear flow from the drain. I realize that this is not the recommended use for the Clog Hog, but it sure worked. Thank you again for a wonderful product that will see continued use as I am sure that the lines will fill with silt again but thanks to the Clog Hog, it is no problem keeping them clean. “I used the Clog Hog to unstop the pipes in one of my rentals. I had a plumber try to tell me he had to cut the pipes and replace them because the pipes were so full of dried drain cleaner it was like rock. But after one hour I broke through and the pipes are cleaned out. I am so happy I could jump up and down. “I wanted to share my experience and give you feedback and hopefully provide valuable information for potential customers. I purchased the 100 ft. drain cleaner set to unclog the main sewer line in my house. Plan A was to use the standard sewer drain snake. I spent over 6 hours using a 100 ft sewer drain snake and was unable to clear the drain and made a nasty mess in the process. The reason bought the Clog Hog jetter was because of all the positive reviews so my 'Plan B' was the Clog Hog. Since my sewer pipe is about 100 feet out to the main city line, I had to use a gas pressure washer instead of an electric one in order to make sure I had enough power to feed the 100 ft clog hog (2600 PSI, 2.4 GPM). The SR-100-M is versatile enough to work with an electric or gas pressure washer so it was a good choice. I hooked up the pressure washer to my hot water washer line and within 40 minutes I had broken through the clog and frozen ice. At 98 feet I could feel the jetter head drop into the main city line. Unbelievable!! And the Clog Hog hose came out clean! No mess like you get with a sewer drain snake. My drain from the kitchen sink clogged AGAIN. So I called the local plumber and he used a professional powered snake, charged me $140 and left. Onto the Internet, and there was Clog Hog. I ordered it, bought some bits and pieces to hook up the pressure washer to the under sink connections, and waited for delivery. When it arrived I hooked it up, ran the Clog Hog down the drain, pulled it back out, and thought 'That's too easy, it didn't do anything.' It wasn't even messy. The Clog Hog cleaned itself as I pulled it back through the drain. Then I ran the water into the sink and it gurgled away like a beautiful mountain stream. 3 weeks have gone by and the drain is clear and we are happy. “I just finished unclogging my kitchen pipes (40-50 feet down) with the Clog Hog after having a plumber go away defeated, a 60 foot snake, numerous unblocking agents, and even a wet-vac. The plumber said that he could unblock our drain for $450. I am a single mom and could not afford that (they also gave me no guarantee). You were my last hope. For $140 I was able to unblock my kitchen pipe with the help of my children - no professional plumbers here! Also, the Clog Hog arrived 3 days earlier that estimated. Great customer service. “This is to tell you, and possibly potential customers, about my experience. We have a septic system. Several years ago, after a flood that apparently caused the lateral lines to back fill, we started experiencing those wet spots in the yard. Then, they grew to puddles. When the ducks started tying to float in them, we decided it was time to do something. Now, I have one advantage that most people with septic systems will not have, and that is that when all of this started, I brought the ends of the lateral lines up to the surface via some 45 degree elbows. I did this so that I could snake them. And, in fact, I did snake them. While that cleaned out that which we only wish were mud from the lines, it did not do anything for the lines actually working. The lines would fill with water, but the drain holes were still plugged. I bought the Residential Clog Hog. First, since my gas power washer was down due to ethanol fouling the carburetor (which is of course another story). I tried using a small electric power washer with the Clog Hog. No good. Not enough power – i.e., not enough GPM. Then I got the gas washer fixed and tried the Clog Hog. These lines are 75 feet long, and each line took about 10 minutes to run. I ran each line 2 times, feeding the Clog Hog in slowly and pulling it back out equally slowly. And I was done. After at least three years of misery, it took less than an hour to run the hoses, hook up the Clog Hog, and clear the lines. The three back-pointing jets are what really did the job, as they hit and cleared the drain holes as the Clog Hog traveled the line. One caveat: If you have the Clog Hog in the line, it is not advisable to be kneeling just in front of the end of the line with the pressurized water running when you pull it back out. The three back-pointing jets are shooting water out at thousands of PSI, and they are pushing something which is not quite water in front of them as you pull it out. You can imagine the rest. Three words to describe the 'Clog Hog'....wow...Wow....WOW ! I have owned my South Florida house for over 25 years. It was built in the early 60's. The bathroom in the rear of the house has been progressively getting worse. Calling a plumber every 2 months or so to come out and run a snake through it became a normal practice and when we would have family or guests stay during vacations it became very embarrassing and the topic of conversation when the toilet drain would get clogged up. Of course it usually happened during a Sunday or a holiday and we all know what plumbers rates are during those days. Anyway, I was at my wits end until I saw this hose setup that the plumber had in the back of his van to jet sewer pipes. He explained how it worked but would not tell me where I could buy one. It only took a few minutes of searching with 'Google' when I came across the 'Clog Hog' site. I read the reviews, spoke to your sales person, and made the purchase on the 100 footer. Last week the 'ole bathroom drain got clogged up. I unrolled approx. 75ft. of hose, went up on the roof and ran that baby down through the vent. I hit the trigger on the gun and that Clog Hog took off chewing its way down the pipe at a rate of about 2 feet per second until it hit the clog and then slowed to about 1 foot every 3 seconds as it tore up the blockage. I could then feel it travel faster down the pipe after it got through the blockage. I went down to the bathroom and flushed the toilet. It nearly sucked my hat off my head. I cleaned my new buddy (the Clog Hog) with fresh water, blew it out with my air compressor and have it stored in the garage. I can't believe that now I can actually say that I am looking forward for the old pipe get plugged again. I tip my hat to the Clog Hog. “My sewer line has frozen up on me twice this winter. The first time I hired a pumping service to come out. He was backed up three days. He used a water jet and took about 15 minutes to open the line and charged me $194.00! The second time the line froze, I bought a 2.9 GPM pressure washer (gas) and 50 foot Clog Hog Drain Cleaner. I used COLD water and let the Drain Cleaner feed itself through 45 feet of my sewer line! It took me about 30 minutes. Here in Alaska sewer lines often freeze. In times past I've had to rent a steam rig and the cost was prohibitive. The Clog Hog sure sold me. I built my house 40 years ago, the plumbing is all ABS plastic above ground and cast iron coupled with neoprene sleeves underground. Many of my main lines have been really slow for years, grease and crap from the garbage disposal, leaves and debris from my outside porch drain (with a p-trap). Yesterday I cleaned everything (including setup and putting everything away) inside of 3 hours. I am so impressed with this tool. My initial impression was so wrong. I cleaned a 60 foot run (the extra hose is just good to have to work with) in less than 20 minutes, my guess it’s spotless. Do that with a wire auger. Anyway, thanks. I hope you make millions on this Clog Hog. Why didn't I think of that? I am so pleased with your product that I felt compelled to give my feedback. My kitchen and washing machine drain into the same line. Needless to say, after years of my wife dumping grease down the kitchen sink the line finally was backed up. The water would be coming up from the drain line or the washer machine. I contacted a local plumbing company to come and snake the line. They guaranteed the work for six months. If the line backed up again, they would snake it again at no charge. Before the six months expired, the line backed up again and they snaked the line again. Two months after the second snake job, the line backed up again. Frustrated and unwilling to fork out another $300 plus, I scoured the internet and learned about sewer jetting. After looking for a residential sewer jetting service, I accidentally ran across Clog Hog. I purchased the 100 foot Clog Hog for a gas pressure washer. Once I received the Clog Hog I could not wait to put it to work. I first painted a white line around the hose at every 10 feet because I wanted to know how much of the hose I was feeding into the cleanout valve. I also painted a yellow line on the hose five feet from the jetter nozzle because I didn't want the back jetters to spray me in the face when I was pulling it out. On to the good stuff… I followed the instructions and the advice of customer comments on your website. I fed the line into the cleanout valve two to three feet at a time. I would allow the hose to go forward slowly for about two to three feet and slowly pull it back for two to three feet. After feeding over 40 feet of hose, the water backed up and began flowing out of the cleanout valve at a good rate. Seconds later, huge clumps of white solidified grease and drain cleaning enzymes were also coming out of the cleanout valve. The Clog Hog then failed to move forward smoothly. I pulled the hose back about six inches and allowed the hose to forward until it stopped again. After the fifth or sixth time of pulling back six inches and allowing the Clog Hog to go forward until it stopped, the Clog Hog pulled itself forward easily once again. I finally cleared the clog in my drain and the water no longer flowed from the cleanout valve. I continued to feed the entire 100 foot length of hose into the cleanout valve. I shut off the pressure washer, pulled out the Clog Hog and put the water hose in the cleanout valve. I let the water hose run through the drain for a couple of minutes to flush down any of the remaining clumps of grease. I then ran the Clog Hog down the cleanout valve a second time. The only difference during the second cleaning was that I kept the pressure washer running while I was pulling out the Clog Hog. I saw my painted yellow line and then shut off the pressure washer. The entire cleaning process only took an hour. It has been six months since I cleaned out the drain and I have not had a problem with the water backing up through the washing machine drain. My wife also continues to pour grease down the kitchen sink. Just kidding. “I just wanted to drop you a line and tell you this little story. I found your product through a web search about three months ago. My wife and I own some apartments in central Florida and I thought your product would be great for a problem we've been having with tenants dumping grease down the kitchen drain on a septic system. I know I don't need to explain what happens next. At least twice a year, I have to unclog a 3", 50' line from a solid white smelly cake of coagulated grease. NOT FUN! I thought I would finally purchase your product the other day when my wife walked by when I was on my laptop. Low and behold when I was about ready to make the purchase she told me I couldn't. WHAT? I said. The cat had to come out of the bag at that point. She already bought me one for Christmas, or at least the apartment account did. So I used it today and I wanted to let you know I think your product was great! It pulled through the pipe as you claim until it got to the clog but with a little back and forth motion, broke through the crud and most of the problem was solved. I did have to go back and forth through the entire line but it's because of the years of build up before I obtained ownership. So, thanks. We all need the praise and I wanted to make sure you got yours. “I received my Clog Hog last week and used it the same day. It cleared a kitchen and laundry room drain that had never run very quickly in my ten years of living in this house. “I would like to take this opportunity to say THANK YOU! Not only for making a product that works "AS ADVERTISED" but also making it a cost effective tool that ANY homeowner can use to save time, money and the headaches associated with having to hire a plumber for simple and tough household clogs. I received my 100’ Clog Hog yesterday and have always had issues with SLOW drains and clogs from time to time. I have one drain in particular that’s always slow and I tossed the Clog Hog in there and it literally ripped through this line and cleaned ALL of the blockage out. There wasn't just one clog in there either. It went through and cleaned with ease! Just a note to let you know that I have used the commercial 100 ft. Clog Hog, and it worked great. I HAD a slow draining gutter line from my house, and during the last couple of weeks we have had some heavy rains here in northeast Ohio which caused the underground line to back up. I used the Clog Hog as directed, and within minutes the line was clear and running like it should. That's a good thing because we are expecting more heavy rains in the next few days. Your product has given me peace of mind and I don't have to worry about flooding. The kitchen sink, laundry room sink, and a washing machine all drain to a 1-1/2 inch pipe, yea not code, but it's an old house. A licensed plumber snaked the pipe and told me it will still be slow unless I 'jet' it because of the buildup in the line. I wasn't willing to fork out the $900, so I did some research and came across the Clog Hog. Within a week I was 'jetting' the line myself. I got stuck at one point where the tip would not bend through an elbow in the 1-1/2 inch line. I called Clog Hog and a very helpful gentleman told me to try twisting the line clockwise while pushing it forward. In addition to that trick, I also turned the water on in the laundry room sink so that the slow line would fill up with water thus helping the tip and Clog Hog line to make the turn easier. That did it, I was back in business. I continued to 'jet' nearly 30 ft. of the line. I no longer have slow drainage and best of all I don't have to hear my wife gripe about it any longer. That alone is well worth the cost of a Clog Hog. “This thing works great! It really pulls itself into the pipe. I was told by the rooter company it would be $800. I fixed it in 20 minutes. Easy to use and easy to clean. “Used my Clog Hog for the first time - I'll never snake again! The drain line from our kitchen sink (where all the grease comes from) to the main line has a very shallow and long slope. The washing machine drains into that line too - next to my son's room. There's a clean-out access point on the front slab outside the kitchen. The Clog Hog is amazing. You shove it in a few feet and go to work. I couldn't believe the amount of black water and small particles that came flowing back out the cleanout. (Not a problem - you already have your pressure washer set up, so cleaning up afterwards is a piece of cake.) Once it was in about 6 feet, all the water drained in the normal direction. I could FEEL the difference when it was in sludge and when it had cleaned its way. It pulls itself forward with enough force that it easily makes it way around corners and will ultimately pull the entire length of hose into the pipe with ease. I use an "arm swing" length at a time - letting it in 3 feet, then pulling it back and letting it forth a few times, then letting it forward another 3'. I could "feel" it go around the corners - I was impressed. After one full pass, which didn't take very long, I pulled it out and there was a little visible brown sludge residue on the hose which I just wiped with a towel. So I did the whole length again, quicker this time and when I pulled it out again, the hose came out clean. It works even better than I thought it would. I've used snakes before. I hate them, and what I really needed was a full-on pro plumber's snake and those puppies are very expensive. If you already own a pressure washer, the Clog Hog is THE way to go! “The Clog Hog works as advertised. I used it on the sump drain pipe and it cleared out all the built-up debris. Now the water flows freely. “The Clog Hog is a fantastic product!! I am extremely pleased with the results. Every two or three months my shower drain backs up. I figured that it was simply gobs of hair (from my thick haired girlfriend) and soap scum causing my drain to back up. I would periodically use my power washer to try and unclog my drain as I feel horrible using harsh chemicals to resolve this - sometimes the power washer would work however most of the time it would not because I could never get it deep enough in the drain and I always made a huge mess. Unfortunately, I had to resort to incredibly harsh acids and chemicals to resolve this issue and many times the chemicals barely removed the clog. Today I fired up the power washer, attached the Clog Hog and WOW!! No wonder my drain was not flowing in addition to the fifty years of muck in the drain, there was a TON of mud, sand and small pebbles. The rear facing jets allowed me to bubble up much of this while the main forward facing jet blasted through the other ton of "whatever" else was in there!! “I received the product yesterday and tried the fit on my machine right away. It fits perfectly! I then set up my pressure washer and cleared a clogged underground downspout drain line. It took no time at all. It turns out, the end of the corrugated pipe is just open maybe an inch or so below the ground level and had filled with dirt and the grass grew over it. The pipe run is only approximately twenty or thirty feet and I had tried using a garden hose with a jet nozzle on it, several times. I was able to push the garden hose in the pipe pretty far but a garden hose just doesn't have enough pressure. That is when I decided to do an internet search for a power jetter for my pressure washer because I know how well they work from having a plumbing company jet my sewer line a couple of times in a previous home. The Clog Hog pays for itself after using it one time verses hiring a plumber (if you already own a pressure washer). The special adapter you sent me is high quality as are all of your other adapters and the jetter hose. Your commitment to customer service is beyond excellent. This is the first testimonial I have written for any product I have purchased on line (I have purchased a great many items on line) because I am so impressed with your commitment to working with your customers and satisfying their needs. Thank you so much for everything. Now I'm off to jet another drain line. “I purchased the Clog Hog to use with a gas pressure washer in order to save my back and clean lines better for kitchen laundry stoppages. I have used mini jetters like [ * * * * * * ] in the past but didn't want to spend that much money for something I only use for my existing customers. I was impressed with how good your hose worked with a power washer. I live in a 1940 track house that has most of the original plumbing. Over the last 20 years we have had a few clogged drains that I can sometimes fix with a 25 or 50 foot snake. I got frustrated when I could not clear a couple of clogs and had to pay $500.00 for plumbers who keep trying to get me to go into debt 10 K with all new plumbing. So with a little research I decided to order your product and purchase a pressure washer. I have used it twice now and saved enough money that would have gone to a plumber to pay for the Clog Hog and the pressure washer. But what your new potential customer might find most interesting is details about my last clearing. Behind my house we have a garage apartment that has a toilet in the back of it. The toilet is about 100 feet from the center of my house. When it clogged I thought I would use the 50 snake before I tried the Clog Hog, mostly to avoid what I thought would be a mess from the water coming out of the Clog Hog. So I spent close to 2 to 3 hours setting up the snake and making sure I could secure it well so it would not twist and kink, as it has in the past. All 50 feet were used and the clog did not clear. Visions of breaking into the pipe and dealing with a patch started to haunt me. Then I decided to buy a small water pump so that as I used the Clog Hog and it filled the drain I could just turn on the pump the drain it. I had purchased the 100 ft version of the Clog Hog because it was not much more expensive anyway. In 20 minutes I was at the last 12 feet of the hose and then it cleared. The Clog Hog had pulled itself close to 90 feet down the drain. It would have cost a fortune to have the plumber do it. So as you might imagine I am a big fan. “The Clog Hog did its job! Started at 7 PM, finished by 7:45 PM. Clog solved. The local rooter charges $300 to do the same thing! Half off is a good deal any day— more especially in this tough economy. “The bottom line is that it performs exactly as advertised. The Clog Hog really does pull its way through the pipe. “Everything was above and beyond what I expected, easy to use and I am completely blown away on how well this worked. Clog Hog is worth much more than I paid and definitely saved me costly plumbing repairs.